It's Thursday once again & almost the weekend! So, it's time for my Just Inklined card for this week! paper from the First Edition "Bo Ho Chic" pad. I felt it had a vintagey shabby chic feel to it. in the photo but I wanted to keep the colour muted. vintage button from my stash! The inside of the card is decorated too! Love the touch of lace at the bottom - perfect! Thanks for joining the Craft-Dee BowZ challenge this month. This is gorgeous Dawn, loving the petticoats and brilliant sentiment too. 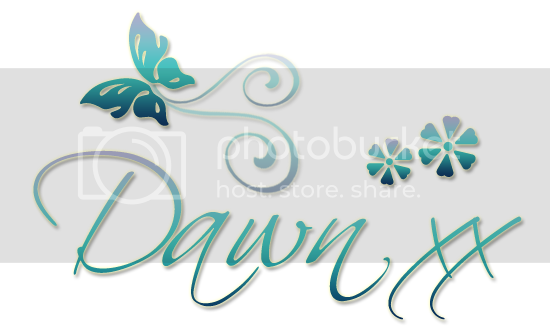 This is gorgeous Dawn, I love your beautiful papers and design. This is lovely, Dawn. Lovely image and such a gorgeous colour combo. One of my favorites to Dawn! Gorgeous card and such a wonderful color! Dawn, what a beautiful image and it goes great with those papers! Such a lovely card. See you again soon. Lovely card, it made me chuckle. Such a pretty colour choice too. Thank you for joining us at HOC. Beautiful card! I only wonder is in for the Buttons challenge or you're applying in our DT Call at Card Mania Challenge Blog? I love the shaped card blank, Dawn, and you certainly brought it to life with your gorgeous color combo and darling image! Love the lace and the button. 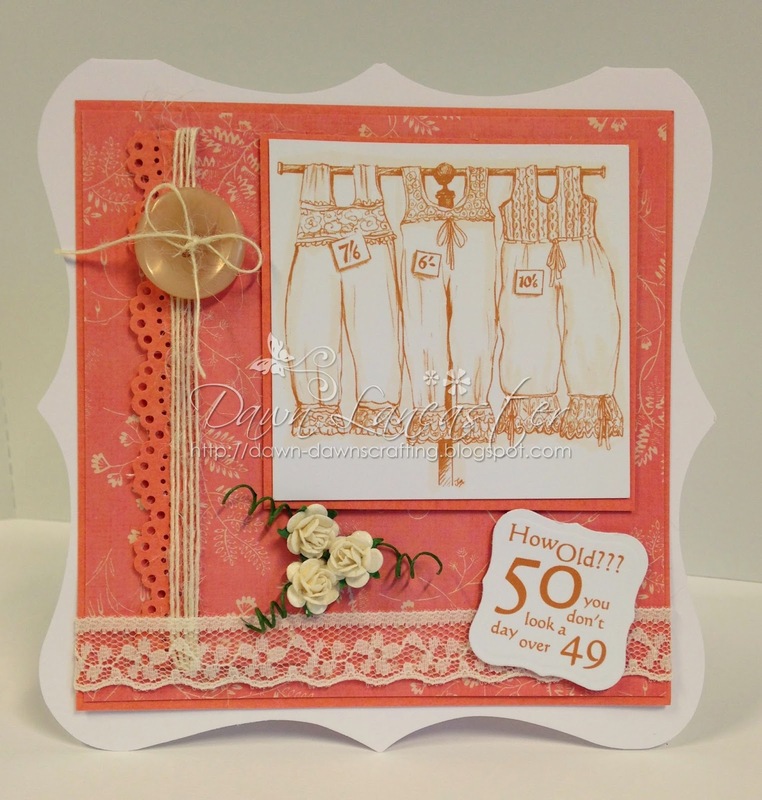 Absolutely love this card Dawn, the image is fabulous, the embellishments and colour super. 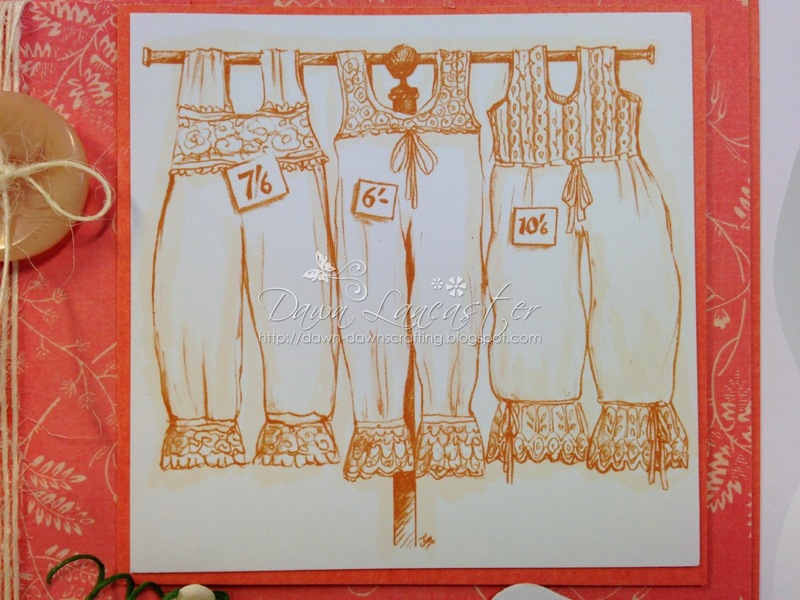 Gorgeous card Dawn, love the petticoat image. I love the vintage feel of this. That image is so neat! I've never seen a petticoat stamp before. LOVE! Beautiful card. Thanks for joining us this week at Eureka Stamps. love always the doily puncher and love your image and all details..great take on the challenge at HOC this month...Gorgeous card..